Endocrinology of Cardiovascular Function is a fitting inauguration to the Endocrine Update Series. The aim of these publications is to provide the clinician with cutting edge, yet succinct, access to the latest advances in endocrinology. Historically, our understanding of hormonal disturbances was restricted to the classical secretory glands and their targets. As Endocrinology of Cardiovascular Function so aptly indicates, endocrinology is no longer constrained by our early physiologic understanding of glandular disorder. 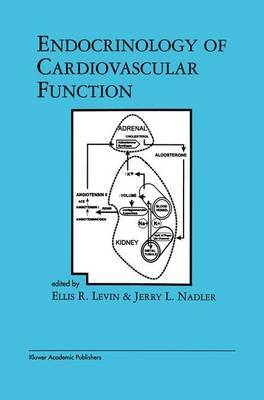 Endocrinology of Cardiovascular Function has set the standard of excellence for the future volumes in this series. Growth factors such as IGF-1 play important roles in cardiovascular cell hypertrophy and the response to acute vascular injury. From another perspective, traditional endocrine hormones, such as estrogen, have been found to participate in preventing the development of atherosclerosis in women, acting through novel mechanisms on target vascular cells. Other `endocrine' hormones, such as PTHRP and adrenomedullin, also modulate cardiovascular and renovascular dynamic states, suggesting new roles for these peptides as vasodilators. This multi-authored text is dedicated to highlighting emerging and important new information regarding the endocrinology of the cardiovascular system.